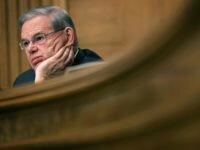 The Senate Ethics Committee slapped the wrist of Sen. Bob Menendez (D-NJ) on Thursday in a Public Letter of Admonition. Judge William Walls declared a mistrial in the public corruption trial of Sen. Robert Menendez (D-NJ) and Dr. Salomon Melgen on Thursday. 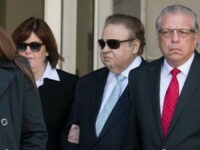 The jury in the public corruption trial of Sen. Robert Menendez (R-NJ) and co-defendant Dr. Salomon Melgen deliberated for a sixth full day on Wednesday without reaching a verdict. Jury selection began on Tuesday in the public corruption trial of Senator Bob Menendez (D-New Jersey) and co-defendant Dr. Salomon Melgen in a Newark, New Jersey federal court room. The trial is currently scheduled to begin on September 6. 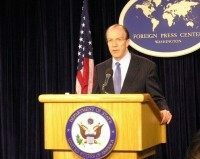 United States Attorney General Jeff Sessions and Department of Health and Human Services (HHS) Secretary Tom Price announced the “largest health care fraud takedown operation in American history” on Thursday in which hundreds of individuals nationwide were indicted for their alleged roles in bilking U.S. taxpayers out of $1.3 billion by filing false Medicare claims. One in four of these cases involved opioid-related crimes. 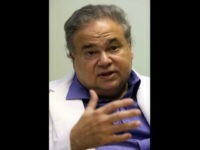 A key defense witness in Dr. Salomon Melgen’s Medicare fraud trial was “stunned by [the] gap between Melgen, him, in number of tests ordered,” the Palm Beach Post reported of Dr. Dana Deupree’s testimony in a federal courtroom in Florida on Tuesday. 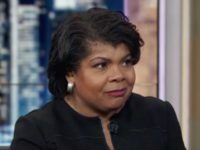 FBI intelligence analyst Jennifer Minton testified on Monday in the Medicare fraud trial of Dr. Salomon Melgen that “Melgen raked in millions more from Medicare for various tests and procedures than any other eye specialist in the nation,” the Palm Beach Post reported. 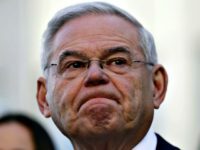 The Supreme Court said on Monday it will not hear Sen. Bob Menendez’s (D-NJ) appeal asking that his public corruption indictment be thrown out. 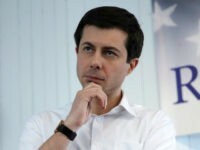 When the smiling ophthalmologist, accompanied by his wife and daughter, walked free, it was the first time he has been out of jail since his arrest April 14 on federal charges of Medicare fraud. Federal prosecutors claim Melgen cheated taxpayers out of $105 million in Medicare reimbursements he received between 2007 and 2014. 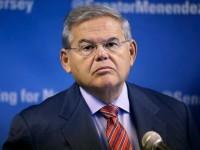 He faces unrelated charges alongside Sen. Robert Menendez in New Jersey. 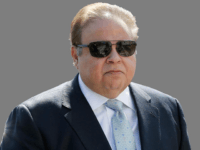 Dr. Salomon Melgen, the Florida opthalmologist indicted on public corruption charges along with Senator Robert Menendez (D-NJ), remains in a Florida jail on separate Medicare fraud charges. 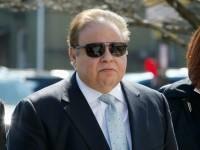 Dr. Salomon Melgen, the controversial Florida opthalmologist who has been indicted along with his friend Sen. Robert Menendez (D-NJ) on public corruption charges, remains in a Florida jail. A federal judge wants to know more about Melgen’s finances before he considers setting bail. 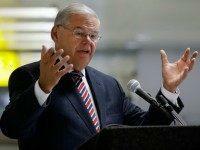 The federal government argues that Menendez should be tried by his New Jersey constituents and peers. 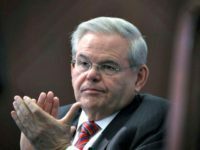 “Robert Menendez, a United States Senator elected to represent the people of New Jersey, has filed a motion seeking to avoid being tried by a jury of his peers in the State of New Jersey. 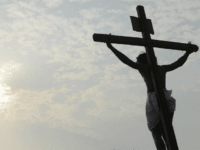 The Court should not permit this,” the brief notes. 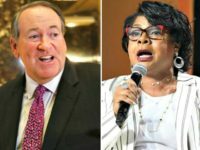 Facing a possible lifetime sentence on the Medicare fraud charges, and an equally lengthy sentence in the public corruption charges, Melgen may reconsider how strong those ties of friendship with Sen. Bob Menendez are. 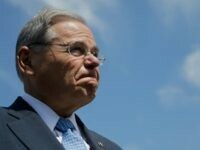 Menendez, who is free on bond and continues to conduct his duties as a Senator in Washington, is facing only one trial. Dr. Melgen, in contrast, faces two trials and may not see the outside of a jail cell for a very long time. For the fun loving Dr. Melgen, a well known international jet setter who “suffers from attention deficit disorder and takes sleep medication,” three weeks and counting in a Florida jail is bound to take a toll. 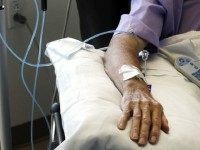 The Florida doctor charged in a political corruption case along with New Jersey Sen. Robert Menendez was indicted Tuesday in a 76-count Medicare fraud scheme that prosecutors said attempted to bilk the health care program out of as much as $190 million.